"+/+" or 1 point – rootkit was successfully detected on the system (file, process or function hook) and deleted. "+/-" or 0.5 points – rootkit was successfully detected on the system, but couldn’t be deleted. "-" or 0 points – rootkit was not detected on the system. The Platinum Anti-Rootkit Award is awarded if the product gets more than 95% of the total available points. The Gold Anti-Rootkit Award is awarded if the product gets more than 80% of the total available points. 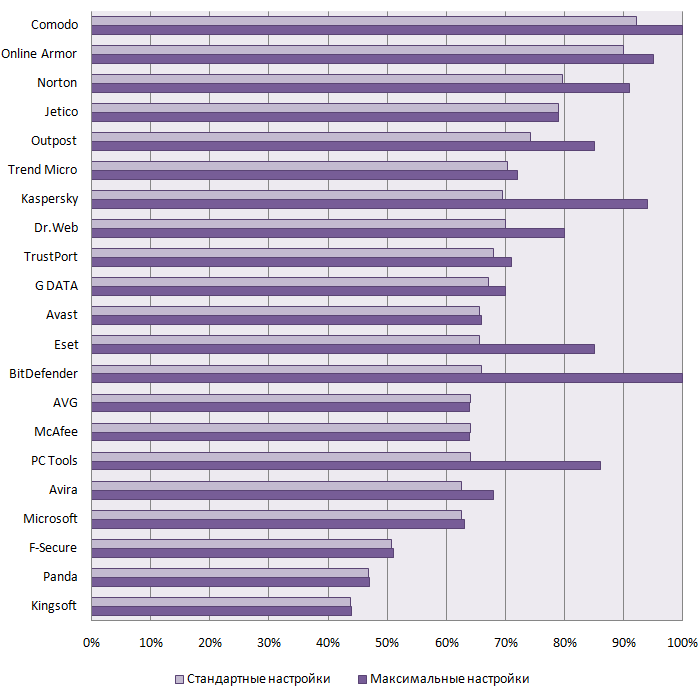 The Silver Anti-Rootkit Award is awarded if the product gets more than 60% of the total available points. The Bronze Anti-Rootkit Award is awarded if the product gets more than 40% of the total available points. If the antivirus or anti-rootkit program gets less than 40% of the total available points, it is deemed to have failed the test.